It's time to end the month of May with some Mexican style! 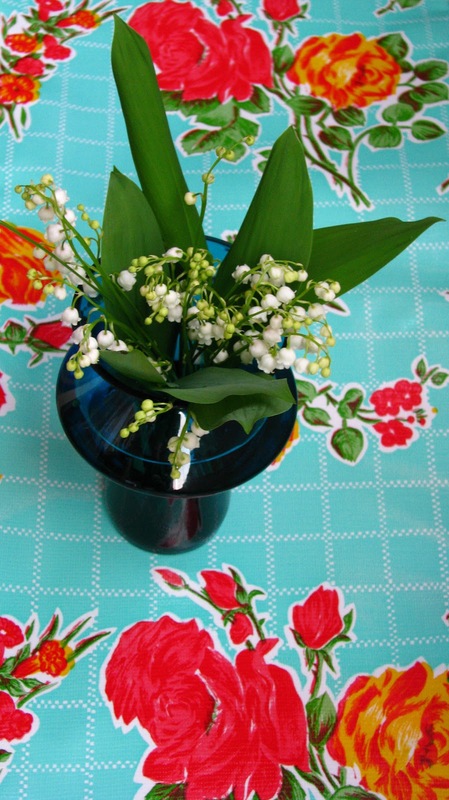 I've been searching for this kind of mexican oilcloth for ages and found it from UK based Viva la Frida boutique. 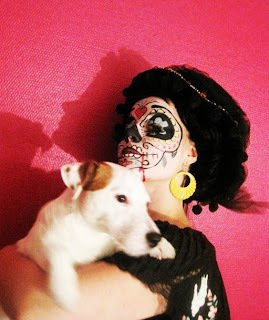 You can find most beautiful folk art / Dia de los Muertos / Frida Kahlo etc. items from the shop and the service is unbelievable quick! Last year, we organized Dia de los Muertos event at the Wäinö Aaltonen Museum of Art in Turku and I dressed up as La Calavera Catrina (the elegant skull). In the end of the night I had charmed the Mexican ambassador so profoundly that I was invited to open the Mexican Cultural Weeks in Helsinki together with him. Strange things can happen to skeleton girls. 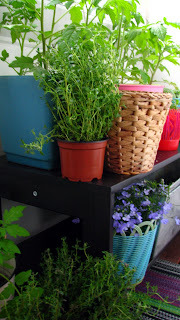 My balcony has turned into a little garden-jungle with my tomato and chili plants + some extra flowers and herbs I got as a present from a lovely new acquaintance, Arja from Maaria library. Speaking of libraries, I hope you have noticed that they are quite often removing & selling older books for ridiculous prices! 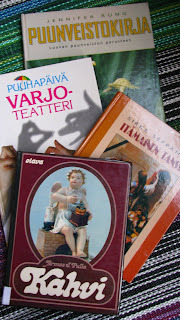 These four books cost me 2,70 € and I'm sure I would never even had thought of getting these if they hadn't been there. So next time you visit your local library have a look at their deletion (?) shelfs!